Yes, the Pacif-i may seem like the kind of product that would only appeal to the most tech-obsessed or helicopter-y of parents, but measuring a newborn or young toddler's temperature isn't always as easy as it sounds, and anything that can make a parent's life easier during this stressful time surely comes welcome (someone who is a parent—feel free to chime in here). In a world of Bluetooth-connected everything, what's the harm in just one more? The companion app includes the ability to track when you last gave your child medicine, set up reminders, and share information with your doctor. More than just measuring temperature, it goes a step further by tracking history and presenting it as a chart. 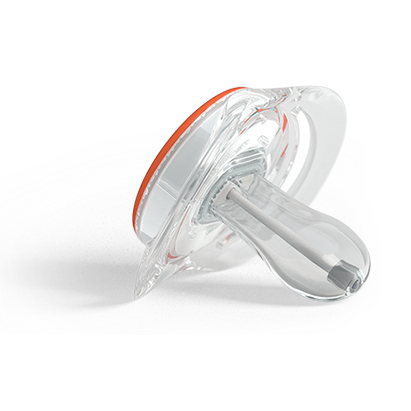 The pacifier uses Bluetooth Low Energy and comes with roughly a year of battery life. Considering the limited stage in a child's development where something like this is actually useful, that limitation perhaps isn't as jarring as is in other devices (such as a credit card). 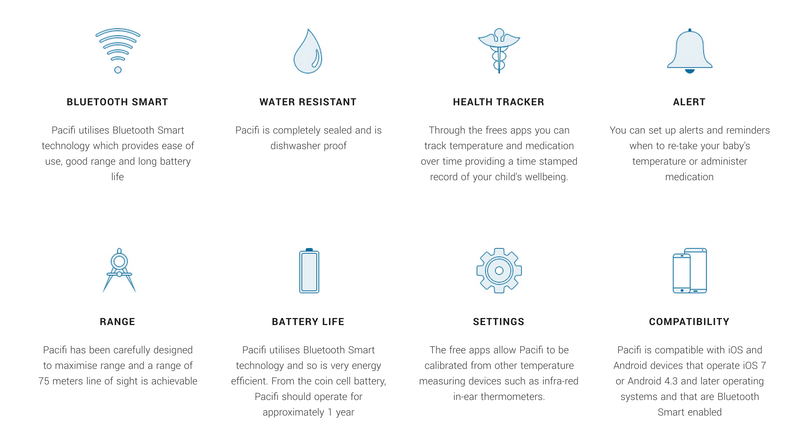 At $40, the Pacif-i is pricey, but it isn't too much of a burden to replace. Units are expected to ship out sometime soon. Pre-order below if you're sold on the idea, and if you wish there were something similar in the works for adults, well, there is.